I am not recieving email on effulgentrostrum@gmail.com. As you said about cronjob. Actually after installing SSL successfully, it was asking me to renew the SSL every month by Cronjob. So do I need to renew SSL every month, if yes then how ? Second regarding SMTP please find the attached error file image. Did you run the crontab command I sent you in a previous post? If you run it and you see and entry using the lego binary, then you do not need to worry about renewing the certificate, the cronjob is properly configured and it will be run automatically every month. For the SMTP issue, it looks like there is an issue with the SMTP configuration of the WP Mail SMTP plugin. Did you configured it as stated in our guide? Which SMTP provider are you using? 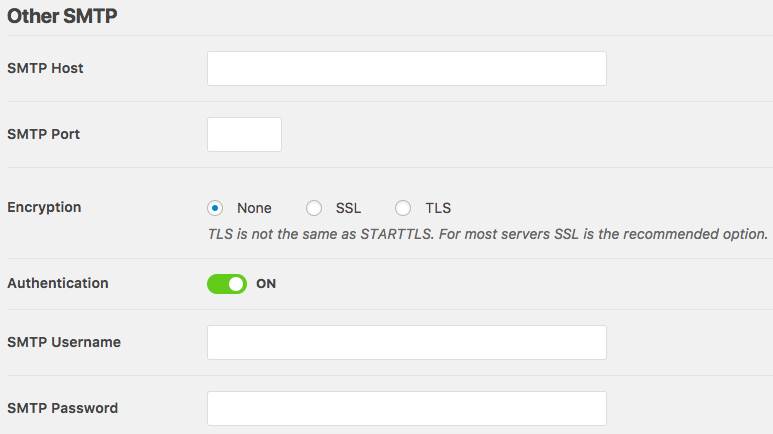 Can you confirm that the settings in the plugin admin area are ok? Can you try to send a test email? Did you configured it as stated in our guide? I moved the posts to this new thread so we do not mix different topics in a single thread. Apart from that, could you please let us know where is that "Return path" setting? Even after providing the SMTP host as smtp.gmail.com, e- mails are not coming on my official ID ie. effulgentrostrum@gmail.com through contact form of my website. this email is already given in SMTP user. As you asked about return path so that I already checked. Still I am getting the emails through Ninja contact form in submission portion not on my official ID. Please also confirm about Should I still need to activate SSL every month as I send you the result of crontab command. Your prompt solution will be highly appreciated. form of my website. this email is already given in SMTP user. portion not on my official ID. as I send you the result of crontab command. Sending emails from Google Cloud Platform instances is blocked because of the large amount of abuse server-to-server SMTP is susceptible to. According to the WP Form plugin documentation, you will need to enable "less secure apps" option in your Gmail account settings or configure the Gmail API to send emails using the built-in plugin Gmail functions. Having issues with email not working on your WordPress site? We'll show you how to use WP Mail SMTP to fix email delivery issues. Email not delivering? We'll show you how to use WP Mail SMTP to securely send WordPress notification emails with your Gmail or G Suite account. I replied you in your other thread, linked below. I also already replied the output in the related thread. professional e-mail ID ie. effulgentrostrum@gmail.com is not being saved. visitors through contact form on effulgentrostrum@gmail.com. You need to modify the email in the WordPress admin console under the menu "Edit my profile" shown in the image below and click "Update profile" button at the end of that page. Note that updating the email will send an email to your new address for you to confirm the email address modification. email from Google of security alert. Screenshot attached. It's not a account verification email. What to do now as I have already did this before but getting the message "
It is possible that you need to enable thirdparty applications to access your Gmail account in order to use SMTP services. Can you check the guide below? secure option on my website & Gmail account. Your expert & prompt solution will be appreciated.